My association with Dr. Saman Kelegama, Executive Director of the Institute of Policy Studies or IPS, dates back to the early 1990s when I had the opportunity to listen to him at an international conference on trade liberalisation. At that time, it was a cardinal sin to pinpoint shortcomings of the trade liberalisation experiment which Sri Lanka had initiated a decade earlier, but the bearded young economist who took the podium as a researcher from IPS surprised us all. He said that the trade liberalisation move initiated by Sri Lanka in 1978 was a necessity, but the timing and the steps taken were all catastrophic. What he meant was that Sri Lanka, instead of going for a wholesale trade liberalisation, could have done it in steps so that its adverse effects could have been minimised. Since then, I became a fan of Dr. Saman Kelegama, who is known as Saman to his friends. I had a very close rapport with him, personally as well as professionally. Saman completed a first class Master’s degree in Mathematics and Statistics at the prestigious Indian Institute of Technology at Kanpur, known as IITK, on a scholarship awarded by the Indian Government. He then decided to switch over to economics and proceeded to the University of Oxford to do his graduate studies in that area. He completed a Master’s and a Doctorate in economics at Oxford and returned to Sri Lanka in 1990. I had the rare opportunity of tapping his brain in numerous encounters which I had had in the past. Some were while sitting next to each other in conferences or as panellists in economic forums. Some others were while holding glasses of soft drinks at social functions. Many were at his office at IPS which had been littered with books, research papers and journals all over the place. I used to joke that that was a sign of a genius who has been blessed with a clear mind but utterly disorganised in the close environment. In one of those encounters, I asked him what he did for his doctoral degree. “My research was on trade liberalisation issues,” he said. 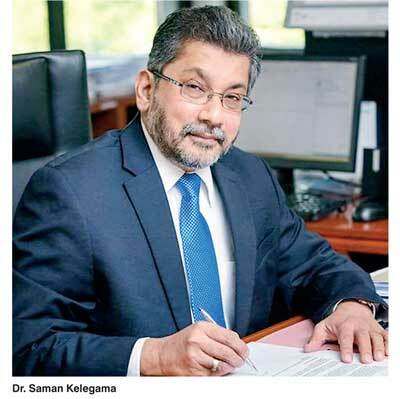 That was understandable because his father – Dr. Jayantha Kelegama – too was a trade specialist, but the father and the son were a way apart from each other. The senior Kelegama who held the post of Secretary to the Ministry of Trade of the United Front Government of Sirimavo Bandaranaike during 1970-77, closed the economy and imposed all kinds of trade restrictions, but the son took a completely opposite view and advocated for trade liberalisation and free trade. “What were the main findings of his research?” I asked him. “I found that as far as timing is concerned, Sri Lanka did it correctly when it decided to liberalise the economy in 1977. If the country had postponed it for a few more years, then, the result would have been disastrous, but with regard to the sequencing of trade liberalisation, we cannot say the same. It was wrongly sequenced and had been done in a hurry without regard for institutional and regulatory issues and the adverse economic consequences that resulted from it. For instance, the sudden closure of the domestic industries due to the flood of goods from abroad created social tensions in the country because many had lost their livelihoods due to that reason. There were no alternative employment opportunities or safety nets arranged for those people. That was a real catastrophe,” he said. Had this foresight been available to Sri Lanka’s policy strategists in 1977, the country could have avoided the massive social costs it had to bear as a result of not properly sequencing the liberalisation move, I began to contemplate, but its lessons could be used for planning the country’s future liberalisation moves to avoid or minimise the social costs involved. “After you got your doctorate, didn’t you think of staying back at Oxford and leading an academic career?” I asked him. I was sceptical of Saman’s assessment because he was talking about the 1990s when the job market in Sri Lanka had begun to get heated. Jobs were not aplenty in the country even for a fresh graduate from Oxford. I expressed my doubt to him. Saman countered me, revealing that he got a position immediately at the Central Bank at a very high level. I guessed that it was the position of the Director of Economic Research of the bank, a prestigious position which had been held by such giants in economics as B.B. Das Gupta, Gamani Corea, Warnasena Rasaputram and A.S. Jayawardena, Nimal Sanderatne and so forth. It was on the cards but Saman had decided to accept an offer made by the newly-established IPS, as a research officer. He confessed to me that it was Gamani Corea, Chairman of IPS at that time, who had been instrumental in getting him to IPS. He said that it offered him an opportunity to work with foreign experts and develop a career as an independent economist. On that count, I agreed with him. If Saman had come as an outsider to occupy a higher position in the Central Bank, he would have been resisted by the rest of the staff. Besides, the bank’s hierarchical structure would have given him little room to develop himself as an independent economist. So, Gamani Corea had sealed Saman’s fate at IPS. He made a lifelong career there, rapidly moving up in its hierarchy. “How did his research programme at IPS go?” I asked him. “IPS had the support of the Dutch Government right from the beginning and there was an in-house research officer from the Netherlands to guide the institute. I could work with Howard Nicholas towards his last lap in IPS and later with David Dunham who was there from 1991 to 1999. We moved forward steadily and resolutely gaining recognition at home as well as abroad as an independent think tank,” Saman said. I agreed with him because many a foreigner whom I had met was talking well of IPS and its independent stand on economic issues. Even I had referred to that fact when I had to deliver the keynote address on the occasion of the launch of its flagship publication, The State of the Economy 2015 (available at: https://www.youtube.com/watch?v=igsAaLP2wBY ). His first job at IPS had been to study privatisation issues in Sri Lanka. This was how to dismantle the huge public sector Raj that had been set up in the country before 1977 without disrupting normal economic activities. That was necessary, he said, to survive in a competitive economy. Their recommendations had been well received by the government at that time. Saman’s rise at IPS was very quick. In 1995, he became its Executive Director, the equivalent of a CEO of an organisation. Now he had the responsibility of building it as an independent think-tank, maintaining its objectivity in providing policy advice and thereby its credibility, reputation and recognition locally as well as globally. At the same time, IPS had to intermingle with the domestic and regional economic profession as well, so that it would not be viewed as an alien creature set up by foreign donors. How did he set about accomplishing this mission? In one of our meetings, I asked him about it. “We started publishing the State of the Economy Report well before the end of each year,” he said. “That was an independent review of the economy guiding government policymakers, Sri Lankans and foreigners.” I had to endorse his view because I had had the opportunity to introduce that publication to the audience on a number of occasions. I wrote several articles in this series independently reviewing the publication (available at: http://www.ft.lk/article/54146/State-of-SL-economy-according-to-IPS--Grow-but-make-it-inclusive ; http://www.ft.lk/article/119285/State-of-the-Economy-2012--IPS-says-bumpy--growth-expressway--needs-smoothening ; http://www.ft.lk/article/373511/IPS-State-of-the-Economy-2014--A-critical-probe-shows-hidden-risks-and-defects-of-policies ; and http://www.ft.lk/article/487845/IPS-s-SOE-2015-has-delivered-a-strong-message-to-Govt--which-it-cannot-ignore---Reform-or-Perish- ). In all these reports, Saman had advocated the need for introducing economic reforms, promoting exports, adopting a compatible monetary and fiscal policy stance and building economic sustainability and economic inclusiveness. It was a misfortune that the policy authorities in the previous administration as well as the present administration chose to sideline IPS and its recommendations. Saman was also instrumental in merging the two rival professional bodies formed by Sri Lanka’s economists, Sri Lanka Economic Association or SLEA and Sri Lanka Association of Economists or SLAE. These two bodies had been formed as a consequence of the rivalry among a few key economists of the country. There was overlapping in the membership because most of the economists were members of both associations. When Saman became the President of SLAE in 1999, he decided that the rivalry had to end and successfully negotiated with office bearers of SLEA for a merger. He was successful in attaining his goal in 2000. Accordingly, SLAE was dissolved and merged into SLEA of which he became the Joint President in 2000 and President in 2001. He held that post till 2003 and since then, continued as a committee member without interruption. They started publishing its journal – Sri Lanka Economic Journal, a quality journal carrying articles on economic issues and published twice a year. In 2000, Saman ventured into another enterprise which was regional. The objective of this enterprise was to make IPS a regional body of economic research and policy. The first issue of South Asia Economic Journal was published in March 2000 (available at http://sae.sagepub.com/content/1/1.toc). Saman together with his Indian counterpart Nagesh Kumar wrote its first editorial. The articles in the journal, authored by regional experts, have covered a wide area of subjects – world and regional trade issues, problems relating to poverty and inequity in individual countries in the region, strategies for building good governance and foreign investment issues in the region. In addition, the journal had included a book review section that had reviewed books that had been published on economic issues relating to the region. “Publishing a quality economic journal was surely a value addition since it adds to the knowledge but, did it help the countries in the region to solve their massive economic issues?” I asked him. Saman was a champion on trade liberalisation. He participated in the negotiations that led to the drafting of the first Comprehensive Economic Partnership Agreement or CEPA with India during 2002-4. After this move became abortive, Sri Lanka and India took steps to revive their trade and economic partnership in 2015. Saman led the Sri Lankan team on the negotiation which was to be implemented in a different form as Economic and Technological Cooperation Agreement or ETCA. Those who were opposed to ETCA had condemned him, even stooping to personal levels, but such condemnations could not deter the strong economist living within Saman. Though Saman was a family man, he was shy of talking about his family, but when being pestered, he would say something shyly. On one of those rare occasions, he told me about his family. I wonder now whether it is the end of the family legacy of producing reputed economists, but it may be too early to make that judgment. Saman told me that his mission in life was to build IPS as a regional centre of excellence and he did it through hard work and building a team of economists who were equally competent as Saman. He got down foreign experts on short-term assignments so that the in-house research capability could be boosted in an atmosphere of cross-fertilisation. He built a succession line which could take over IPS at any time; but Saman told me that the greatest happiness in his life was to see his associates at IPS doing better than he and taking it to greater heights. He laid the foundation for that. Now Saman is no more with us. The tribute which IPS staff can pay this great economist is to see that his wish is fulfilled by doing better than what he had been doing there.